Dyed with vibrant colors and then washed for a soft, worn-in look. This Philadelphia Eagles Grey Fitted Hat features a raised embroidered logo on front crown w/ team name on back. 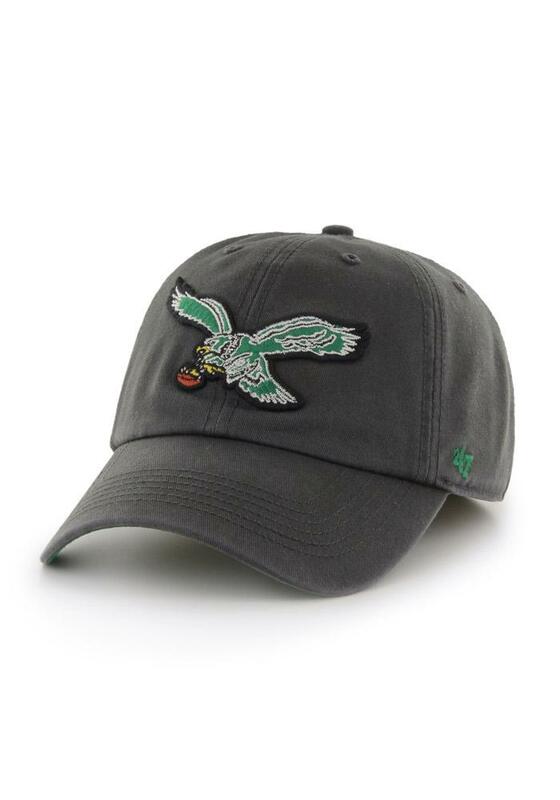 You'll be ready to show your Eagles pride with this Cap! Go Eagles! Just need the XXL size to come back. Actual hat is just a bit darker than what is on the site but still pretty happy with it. Looks good and got it delivered in no time. Great fitting, classic Chiefs logo on a dad hat. Comfortable, relaxed fit.